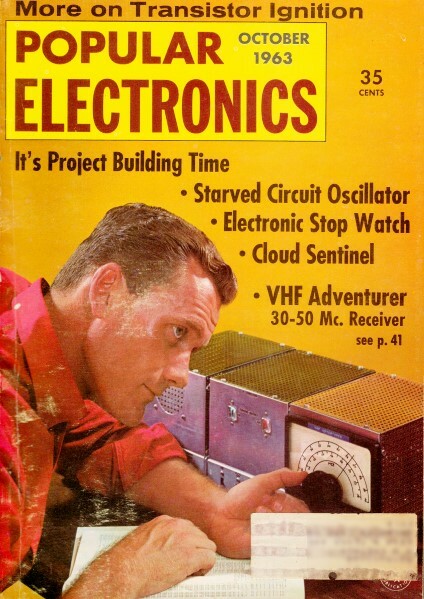 This Electronics Current Quiz from the October 1963 edition of Popular Electronics is recent enough (if you can consider 50 years ago) that it uses both transistors as well as vacuum tubes in the example circuits. I have to admit to only scoring 60% on it, which is pretty lame. You will probably do better, especially if you are my age or older. Despite the fact that any electric current is a movement of electric charges, a variety of odd names have been devised for currents that operate specific electronic circuits or parts. See if you can match each special current name (A-J) listed below with the circuit of the component (1-10) to which it relates. A - 10 The PULL-IN current for a relay is the minimum coil current that will move the armature to the closed position. B - 6 The EXCITING current in a transformer is the primary current which flows when the secondary winding is open. C - 3 A BLEEDER current, usually about 10% of the rated output current, flows in the bleeder resistor of a power supply, and improves the regulation of the output voltage. D - 5 EDDY currents are induced in the work piece by transformer action in the r.f. induction heating process. E - 4 The DARK current in a photoelectric tube is the current which flows in the absence of light. F - 2 The d.c, BIAS current in a transistor common-emitter circuit determines the operating point for the signal current. G - 8 A LEADING current is present in a capacitive circuit because of the current surges into the capacitor. H - 9 The LEAKAGE current, or Iceo in a transistor, is the collector current which flows with zero base current. I - 7 The FIELD current is the current that energizes the electromagnet of an electrodynamic loudspeaker. It is often obtained by using the field coil as the choke in the amplifier power supply. J - 1 The BEAM current in a cathode-ray tube is the electron stream which is accelerated toward the fluorescent screen.